In addition to helping design sites and document functional and nonfunctional requirements, we help our customers with system architecture as well as help pick community modules that make the most sense for the given project. When a unique need is uncovered, our veteran programmers have the expertise to enhance existing modules or build custom modules to satisfy specific requirements and use cases. DPCI also helps our customers integrate Drupal with other mission-critical content technologies such as digital asset management, editorial workflow management, and enterprise multi-channel publishing software that can deliver content to print, mobile, and tablet devices. 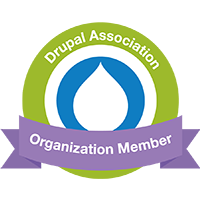 Similarly, we have integrated Drupal with business-critical applications such as e-commerce, CRM, donation-management, subscription management, and other external systems. The new content management system allows us to do our work faster. Editors can now focus on writing and enriching stories, rather than spending time fighting with an inefficient system.